UPSC IES/ESE application form for IES 2019 examination would be available from the last week of September, Till than IES aspirants for getting all the information please refer IES 2018 notification. You can consider IES 2018 notification as an guide until IES 2019 notification will not released. Below link has UPSC IES/ESE 2015-2018 Brochure in free pdf format. 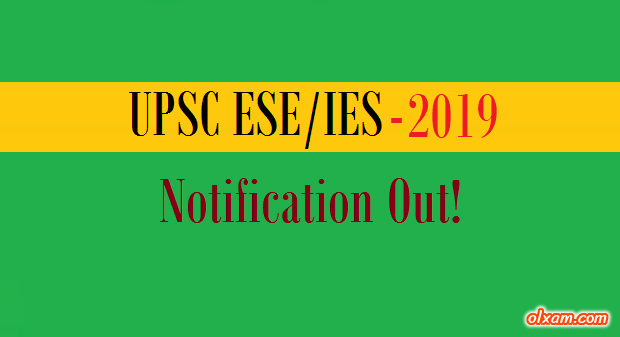 Whenever UPSC IES/ESE 2019 brochure will be released we will upload here as soon as possible till then you can use UPSC IES/ESE 2018 brochure as a guidance for UPSC IES/ESE 2019 examination. UPSC IES/ESE 2019 aspirants can download this UPSC IES/ESE 2018 Brochure from the link given below. UPSC IES/ESE 2019 Application – Click Here! Thanks for providing complete information about IES. Please keep us updated on GATE and IES 2016. We posted our all updates there. You will get all the updates via notification message to your Facebook account.